Turn unused building space into potential profit. Tenant storage lockers from FSS provide instant, versatile, and safe storage for multi-family residential applications. 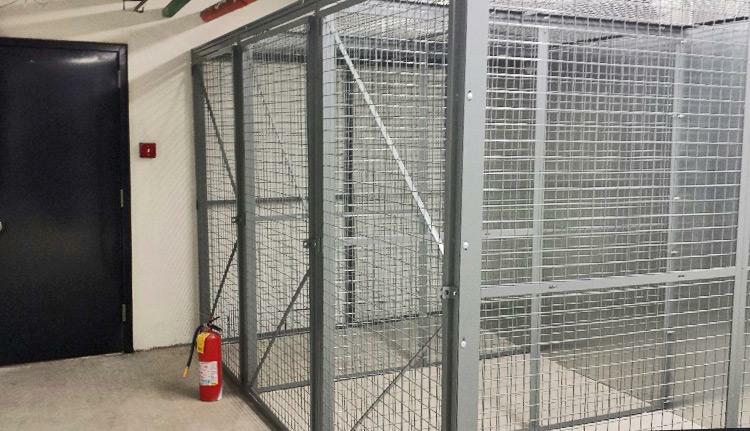 Wire mesh storage lockers differentiate from solid storage products in that they allow for unrestricted circulation of air, light, and heat, not interfering with your building’s fire suppression systems. FSS’s tenant storage lockers are priced competitively, easy to install, and are of the highest quality. The polyester powder coat provides a superior finish over acrylic based enamels. Additionally, our wire mesh is welded in an angle frame, as opposed to sides consisting of web mesh only or expanded metal webs, protecting residents from potential injury and damaged property. Optional mesh types (welded or expanded metal) are available upon request. Our tenant storage lockers are available in a number of standard sizes in single, double, and triple tiers. 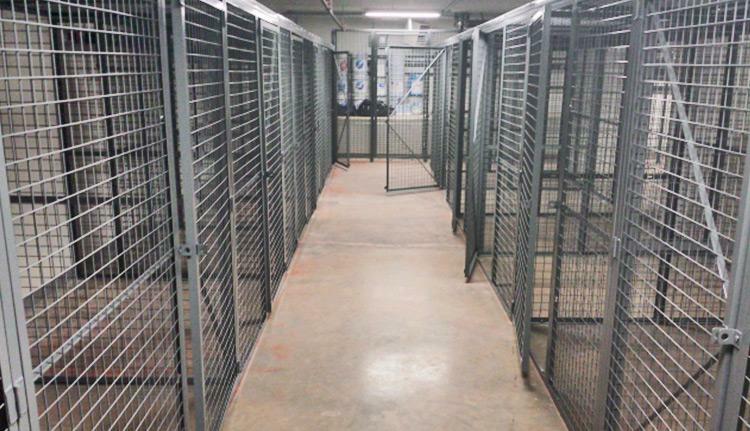 In the event standard or custom sized storage lockers are not what you’re looking for, FSS can create a solution that works by using an alternate wire partition line. Solutions with sliding doors for available for areas such as parking garages that might lack the extra space for swing doors.